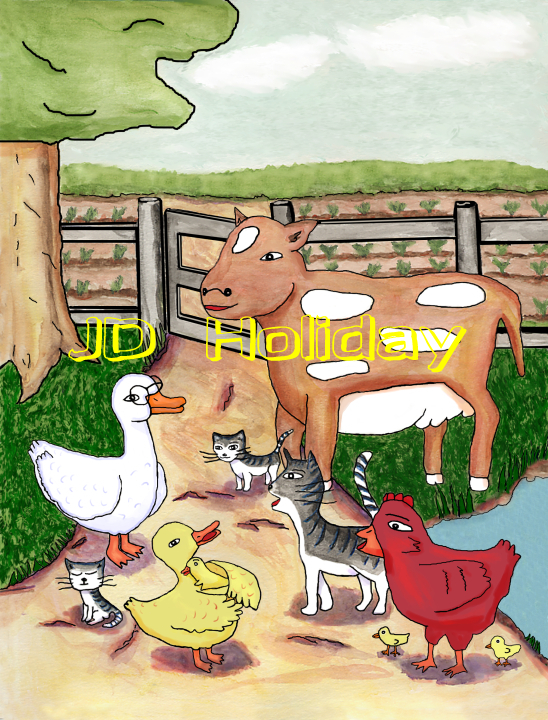 In the story, Janoose the Goose is visiting her cousin, Molly the Duck on the farm. Janoose likes the barnyard very much but she must go home because there are no job openings there. When her flight home arrives, the fox has begun a crime spree, and Janoose is the only one who can stop him. fox. And Janoose had every reason to chase the fox away. 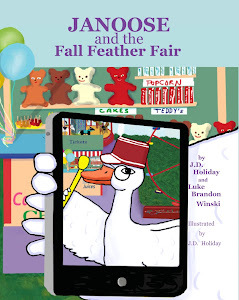 KIDZLIT ONLINE and TWISTING PIXEL CALLED Janoose The Goose one of Amazon.com's "HotNew Releases in CHILDREN'S Books" in 2008! JANOOSE spent 3 months straight on Amazon's Hot New Releases list from August to October 2008! Janoose is an absent-minded, bespectacled goose with a sweet disposition. Her visit to Free Range Farm where her cousin Molly the Duck lives changes her life forever. Janoose loves the quiet farm life and hopes she could stay on. But sadly, there are no jobs at the farm for a honking goose. 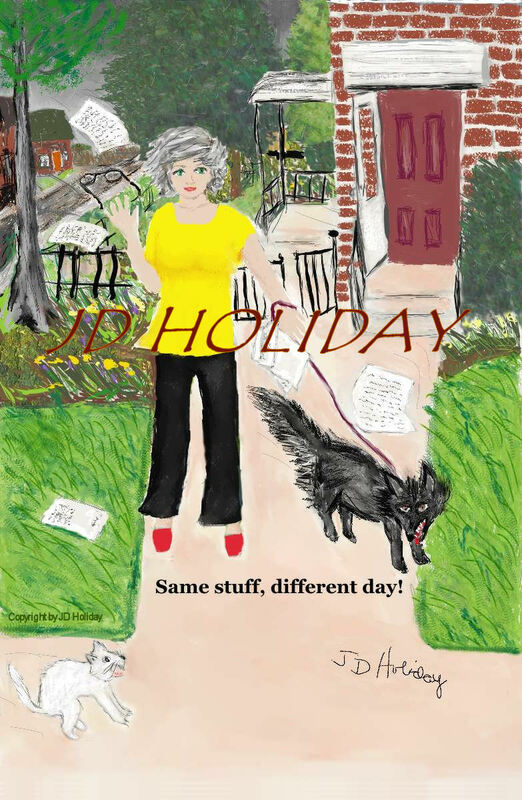 When Janoose sees a flight of geese flying overhead, she realizes her vacation is over. It’s time to get back home where she has a job, honking the ships in at the lighthouse. The final flight leaves tomorrow, so Janoose had better hurry! Half-heartedly, Janoose starts packing. But all is not well at the barnyard… there’s a wicked fox on the prowl! Contrary to what the farm animals think, the fox is not looking to make Duck Soup. Why is he lurking around, then? What is he after? 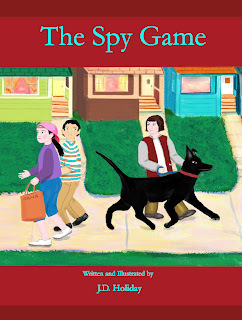 Read the book to see how Janoose the Goose unravels the mystery and saves the farm. 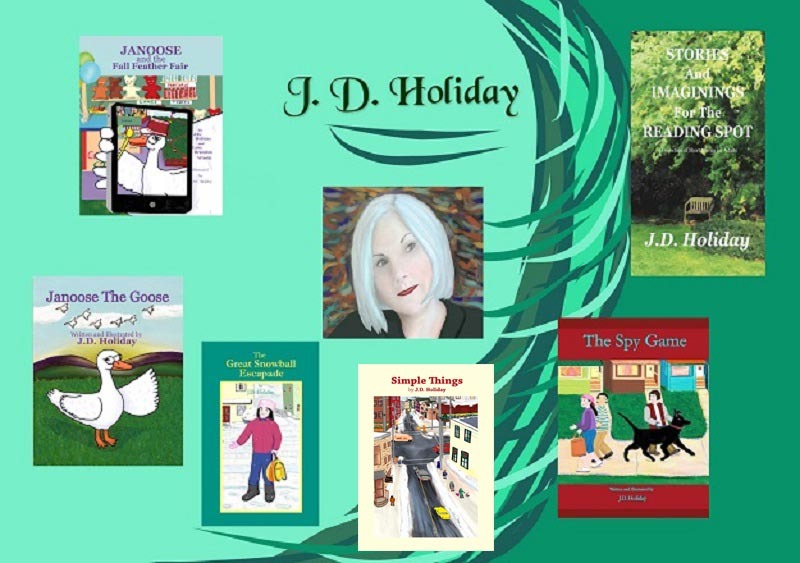 Author and Illustrator J.D Holiday presents a simple tale (with a twist!) that is beautifully narrated. Holiday’s illustrations are bright and colorful and she also introduces clever little details that take the reader right into Free Range Farm… to the view from Janoose’s room up on the loft, to Scarecrow’s changing facial expressions and to the finale by the lake.Janoose the Goose is an ideal bedtime storybook. With her funny dialogues and witty repartees, Janoose will be a definite favorite with children. 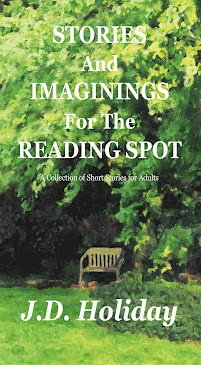 A Delightful Story! 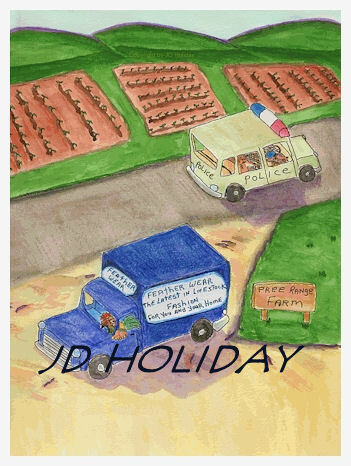 Janoose's vacation on the farm is over. It's time to fly home, but she isn't even packed when the first flock of geese flies overhead. Molly the duck wants Janoose to stay with her and her duckling, Deedee. 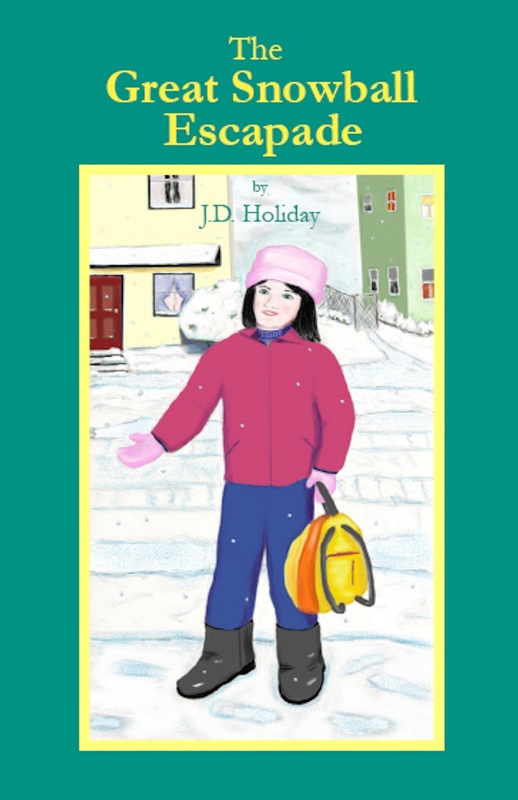 Janoose can't stay, however, for she has no job on the farm, but she does have a job at the lighthouse. So she packs her backpack to be ready to join the next flight of geese. 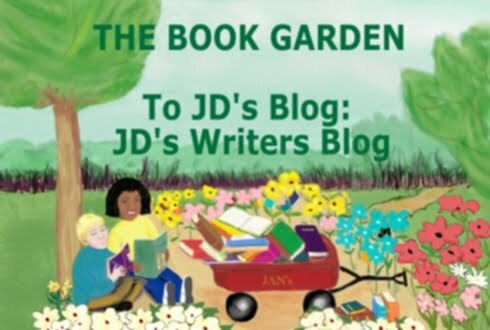 When a fox with sharp teeth tries to catch Deedee, and Janoose saves the baby duck, everything changes. Why does the fox attack the farm animals? What does he want? Will he return? As it turns out, the fox has a good reason for chasing the farm animals, and it's not what you think. I'm not telling, but the fox's motives add a nice surprise to the story. 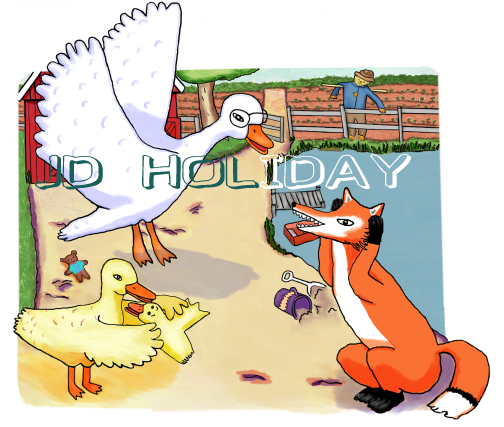 A goose that wears glasses, a fox up to no good, and a barnyard of farm animals make for a story that will delight young readers. 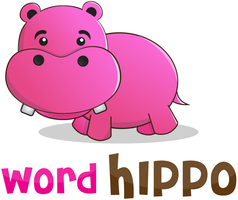 Parents, be prepared to read it over and over to your children. 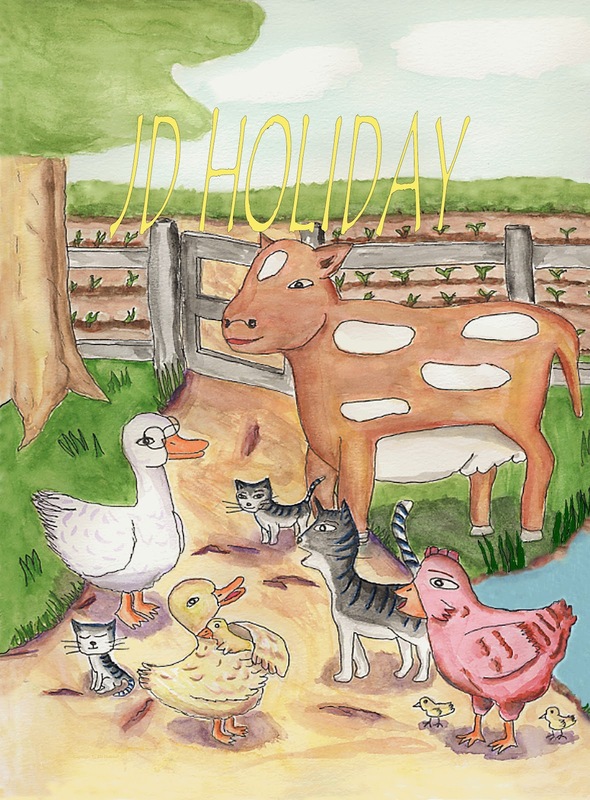 Ms. Holiday's whimsical artwork and the expressions on the animals' faces, even to the smiling scarecrow, add a nice touch to the story. 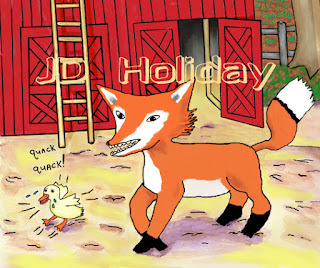 In the farm, all is well until the Naughty fox decides to stop for a little visit... well, a little visit that translates into bullying and terrorizing the little innocent ducklings. Luckily, Janoose the Goose is there to defend the duckling and chase the fox away. I impressed by the goose's bravery, the other farm animals decide it would be great if Janoose could stay at the farm and keep order, but Janoose is supposed to fly away soon, and besides, there are no jobs available for her at the farm.But if Janoose leaves, who will defend the other animals against the fox? Will Janoose be able to stay, after all? Janoose the Goose is a cute, engaging story that will be enjoyed by young children ages 3 to 8. 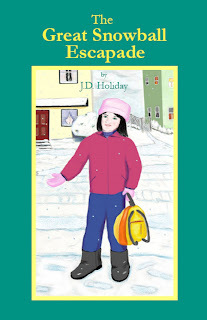 My daughter, though she's old for the book, read it with Interest and loved the illustrations. 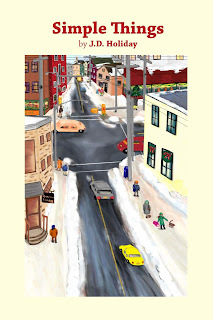 The artwork, done also by the author, fits the story well. 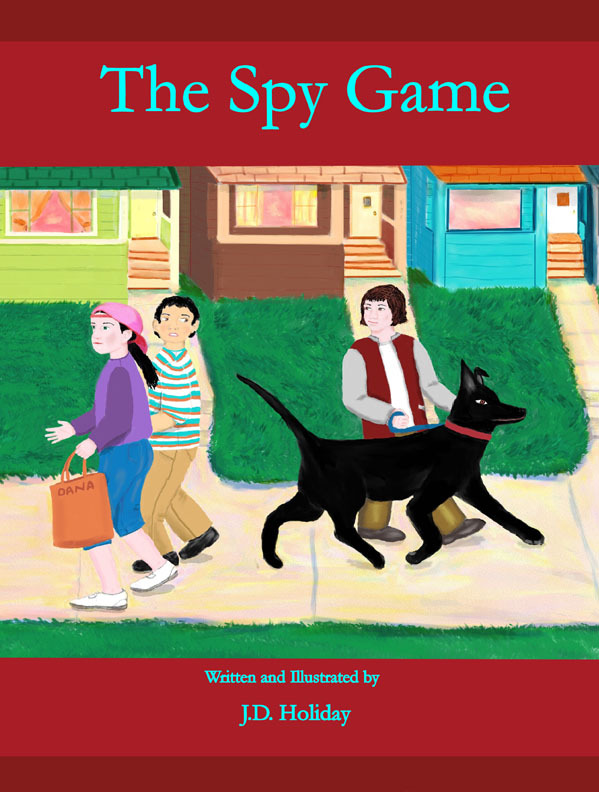 The illustrations, though simple, are colorful and attractive and have a traditional style that I've always enjoyed in children's books. 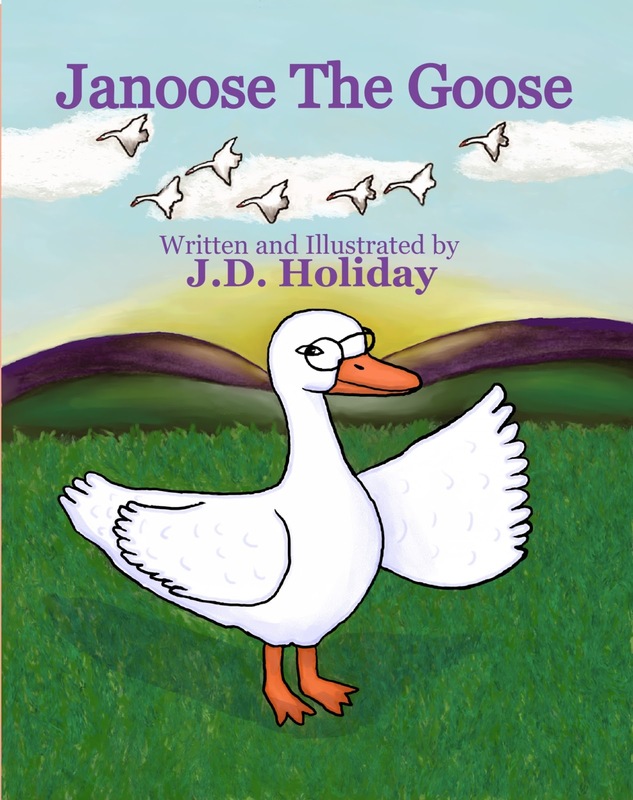 Janoose the Goose is a worthy addition to a any kid's or classroom shelf.